The Nigeria Labour Congress (NLC) in Oyo State on Tuesday told the 36 governors to be prepared to implement the N30000 minimum wage. The NLC Chairman in the state, Waheed Olojede, spoke in Ibadan during a peaceful rally to canvass the transmission of the Minimum Wage Bill to the National Assembly. 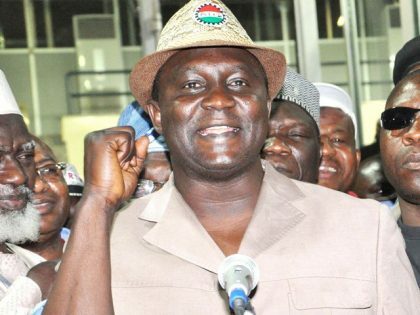 The protest, which witnessed a low turnout of workers, moved from the NLC Secretariat at Agodi-Gate to the Government Secretariat where labour delivered a letter to Gov. Abiola Ajimobi. Olojede said that since governors and other employers of labour had representatives on the Tripartite Committee on Minimum Wage, they should be prepared to pay the N30,000 agreed upon. “What the NLC is demanding for is nothing short of N30,000. “Even at the N30,000 minimum wage we are demanding for, it means an average worker takes home less than N1,000 per day because tax will still have to be deducted. “An average Nigerian worker cannot survive on N1,000 per day, but since N30,000 was the agreement by the tripartite committee, we are abiding by it,” Olojede said.